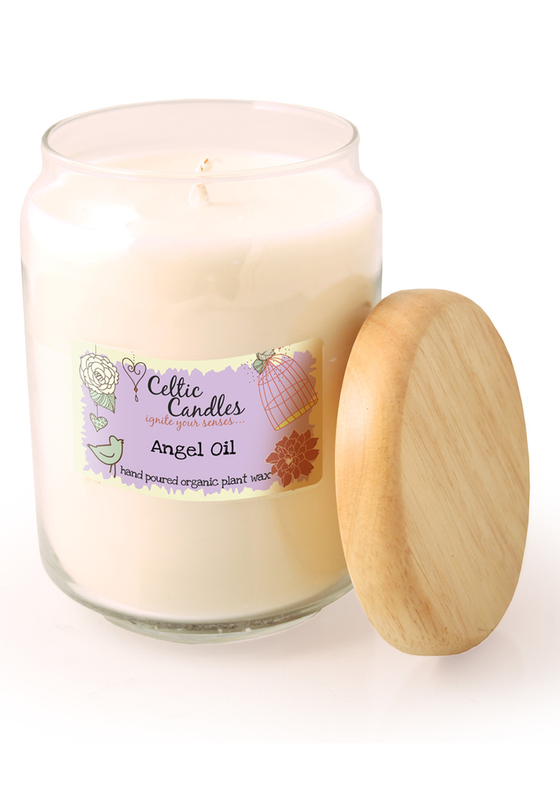 This exclusive Angel Oil candle from Celtic Candles is lightly perfumed with the relaxing oils of neroli and floral notes of jasmine and musk. A fabulous large jar that will burn for up to 100 hours with no waste. The jar with its wooden lid can be used as storage when the candle is completely finished.